Yet even that staple — and its business model — is being challenged like never before. If the situation isn’t terminal, it’s serious. "The risks are outweighed by the chance to reinvigorate a force for civic engagement and involvement that has helped keep communities informed since local news became profitable back in the '60s." 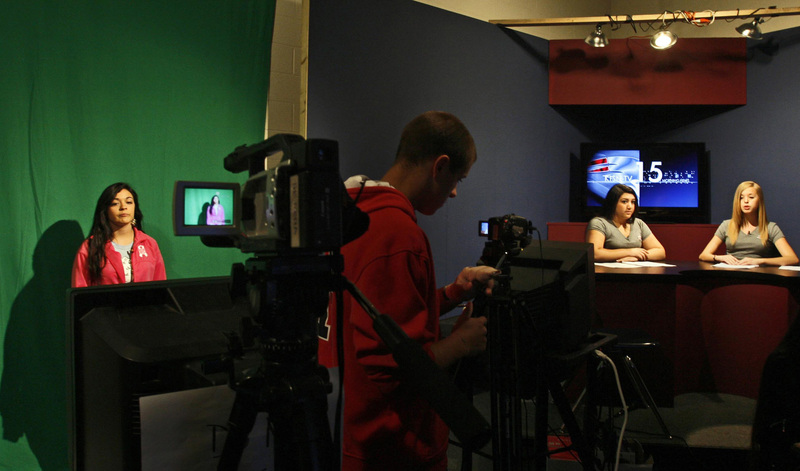 The latest Pew survey confirms this: local TV news viewership is falling — and fast. Only a fourth of college-educated Americans regularly watch a local TV newscast. For those with a high school degree or less, it’s less than fifty percent. The patient is not yet on life support. So it’s important that those who run local television stations — and those of us who care about local broadcast news — try radical experiments to to revive the genre now before it’s too late to reverse the continuing and accelerating degradation of the local news ecosystem. At a time when news is everywhere and on every platform, why is preserving the local news important? This was a system that worked well for decades: Strong local stations added pictures to the news that people read in their morning papers and heard on the radio. These stations also provided strong dollops of consumer, investigative and weather coverage. Local newspapers—which were robustly staffed—helped set the agenda for the local market, and local stations to some degree depended on newspaper resources to point them in the right direction. As the executive who oversaw local news for many years for the Post-Newsweek (now Graham Media) stations, almost every morning news meeting that I attended paid some attention to the agenda set by the local paper. A professional, robust local TV news operation in the ’80s and ’90s could count on a committed, large audience that, to a significant degree, reflected the demographics of the market. The commercials that were sold around these newscasts provided solid budgets for expansion of newscasts and beats. Now, in 2018, we’re left with a newspaper industry that has a few national winners (The New York Times, The Washington Post) and many local and regional losers. But even the New York Times admits its commitment to local has lessened now, because it sees its neighborhood as the world. When I was a local news director a few years ago at Tribune Media’s New York station, the New York Times website was one of the last places I’d look when local news broke. Now, digital disruption has fully enflamed the local television scene, where—as the Pew survey reveals—the audience that’s left is poorer, less educated, and older — not a prescription for success. Local television news still feels much like it did when I first joined my first local station in the late 1970s. Sure, the graphics are slicker, and social media is more embedded into the writing and the storytelling, but the conventions are the same: anchor lead-ins to recorded packages, live shots, and newscast teases across the commercial break that has the audience singing along because they’ve memorized all of the hoary conventions of local news. It’s no wonder that my students at Montclair State University’s School of Communication and Media hardly ever watch local news on television. In fact, for a course I teach on TV news production and writing, one of the assignments is to watch a local newscast—it’s the only way I can assure that they will have seen what it is I’ll be teaching. One of the reasons we still teach it (along with digital storytelling, documentary, and other disciplines) is that there’s still a need for producers, writers, and reporters to fill thousands of better-paying jobs covering news at local television stations. We used to be aghast at what producers would make in small markets; we’re less aghast when we compare those salaries to folks making less but working more at many digital operations. News collaborations are one way to strengthen the local news universe. The Center for Cooperative Media here at Montclair State, for example, has done more than any organization in conceptualizing a future of digital collaborations and projects. The Center recently published a collaborative database with information about almost 100 news collaborations from over 800 organizations. But I worry that these collaborations, though valuable and successful, don’t scale up to a mass audience. TV, though hobbled, is still the way most Americans get their local news. The inescapable truth is that throughout our nation’s history, local news has always been a commercial enterprise, fueled by capitalism and competition, and focused on many demographics. So what can be done? Some large local operators like TEGNA are playing with new formats and ideas—more in-depth storytelling in some cases, hiring comedians to add dash to morning newscasts in others. Sinclair – poised to be the largest operator of local stations once it completes its acquisition of Tribune Media – borrows from Fox News in imposing a right-of-center slant to its newscasts. I would prevail upon senior management at the company to let us do full research and development at an underperforming station in a decent-sized market, one without union restrictions that forbid employees from shooting and editing. There would have to be full buy-in and acknowledgement from the corporate level to the station management level that normal benchmarks for success (ratings and revenue at the top of the list) would not be held against the station managers for a period of two to three years. Without that incentive to succeed (or fail) wildly, this experiment would be doomed; we’d end up with some version of the incrementalism that got us into this mess. We would endeavor to emulate companies like Alphabet and Amazon in taking big bets and going all in. Then, we’d start from scratch, asking ourselves (and researching) who are our target audiences? What platforms are best to reach these targets? What programming best works on each platform? What kind of skill sets do our journalists need to succeed? Other questions: What kinds of sales categories and formats (both digital and on-air) are not being served and what kind of products can we create to serve them? What can we learn from Vice Media (up-close, in-your-face passionate reporting) and cable news (up-close, in-your-face passionate discussion) that’s transferable to our new local entity? (Hint: Passion works.) What valuable beats (and advertisers) were lost when the local newspaper slimmed down? A fully developed local news brand — NOT the old call letters or channel number. A central, agnostic-to-platform news creation team: producers, reporters, writers, assignment editors. For television: a belief that viewers still like interesting personalities. I’d go full-bore here, with emphasis on smart, opinionated, and yes, passionate journalists. Digital sites (website, Facebook, Instagram, Twitter, Snapchat, and whatever comes next) that push out the journalism in formats appropriate to the platform). Develop hyper local sites digitally. A redefining of what TV newscasts should be: Less focus on run-of-the-mill news, and more focus on the beats that the newspaper used to own. Don’t give up on more attractive demos! Also, question everything: writing style, teases, length of stories, etc. Throw out old research! Partnerships and collaborations with existing digital journalism sites where it makes sense. Aggressive marketing; on air, on line, on social. The risks of this approach are many. What if we fail? What if our profit margins decrease? What happens to my career if I’m part of this experiment? But I maintain the risks are outweighed by the chance to reinvigorate a force for civic engagement and involvement that has helped keep communities informed since local news became profitable back in the ’60s. Anything less is just an inexorable march toward a test pattern. Mark Effron, a veteran broadcast and digital news executive at companies such as MSNBC and New York Public Radio, is currently a professor of Journalism and TV and Digital Media at Montclair State University’s School of Communication and Media, where he oversees the School’s News Lab.